In China, COPD (Chronic Obstructive Pulmonary Disease) accounts for 15% of deaths each year (2,000 people a day). This leading cause of death is an issue of breath-taking scale, that cannot be attributed to one single cause alone, but a combination of many scattered problems that make up the huge public threat of COPD in China. With the prevalence of 9.9% in people over the age of 40, COPD has become the leading cause of death in rural areas. Despite this, public awareness of COPD remains low, leading to poor diagnosis and patient outcomes. COPD accounts for 15% of deaths, but it seems like an invisible issue. Public awareness is dramatically low, leading to high rate of undiagnosed patients. 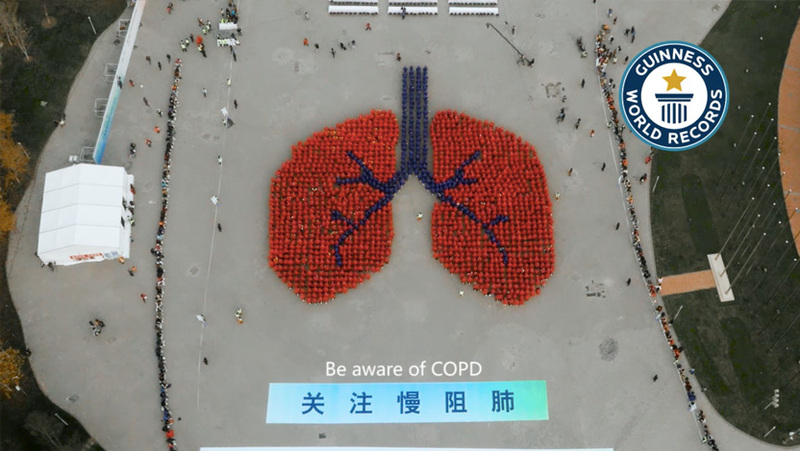 AstraZeneca aimed to increase public awareness of COPD with an impressive campaign: “A big lung to breathe life into a big issue”, which aimed to drive attention to this serious condition and its deadly impact on China’s health. 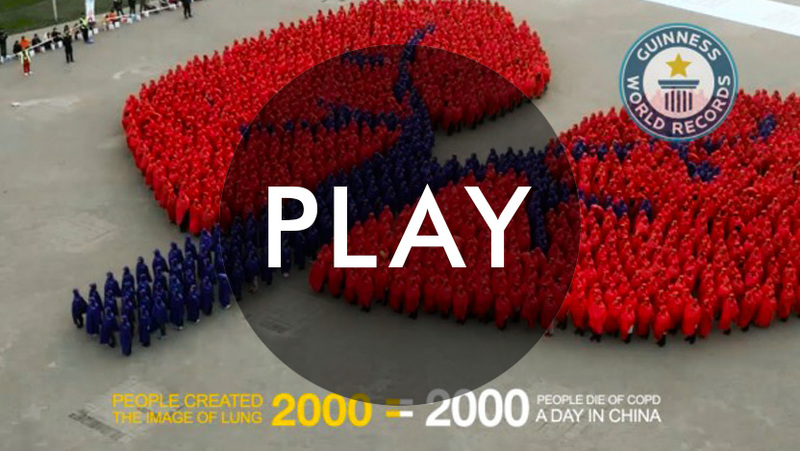 The ‘Giant Lung’ is a visual representation of the impact of COPD, made with 2,000 people to illustrate the number of people dying of COPD each day. We developed an education program, in which over 1,000 physicians in 619 hospitals were trained and 160,000 patients have enrolled. Over 1,100 Diagnosis and Treatment Centers have been built. COPD awareness was extended to 50 million people across the country, and the diagnosis rate went up by 5% as a result.